Apple, IBM and Western Digital are among corporate clients attending Pickled Egg's fam trip in January. The trip will be held on 4-7 January for 16 of the agency’s key corporate clients at the five-star Chalet Meribel in France. 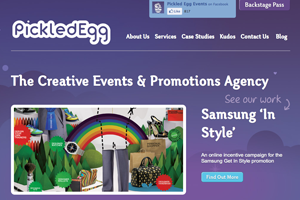 Pickled Egg managing director Ricky Knight said: "We are talking about some big incentives next year so we decided to invite clients such as Apple, IBM and Huawei. Relationship-building is the key purpose. We’ll talk about plans, and how we want to work and engage with them."